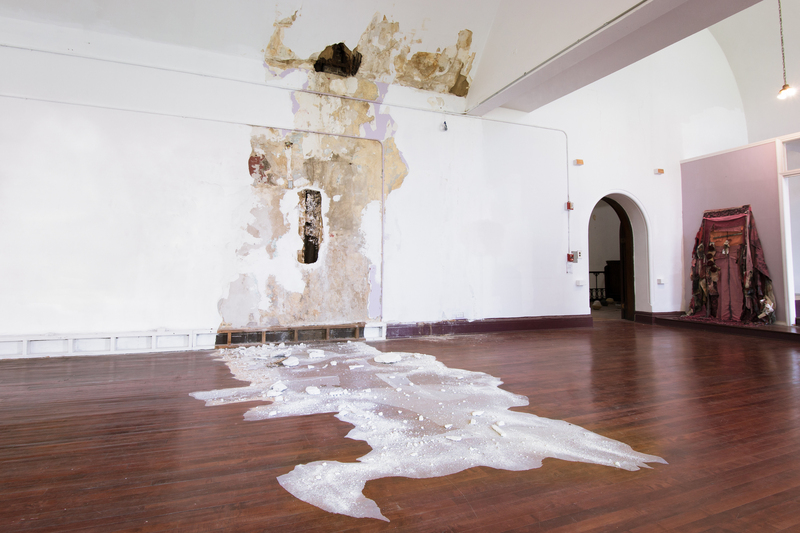 Site-specific intervention created from existing fissure on the wall caused by a leak. Self-adhesive plaster repair fabric, wall pieces, dust. Wall paint. St. Martin’s Episcopal Church. Harlem, NY. IIAF Curators: Andrea Valencia and John Elammar. IIAF Producers: Lesny JN Felix and Laurent Delly.